Download Free Under Construction PSD file. 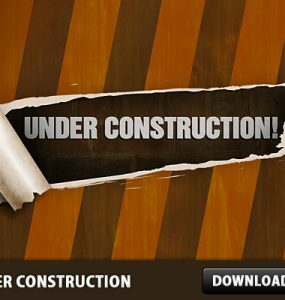 Free PSD template that can be successfully used for under construction or 404 pages. It’s a creative way to show your visitors that you are in maintenance mode or are suffering server problems. Enjoy!